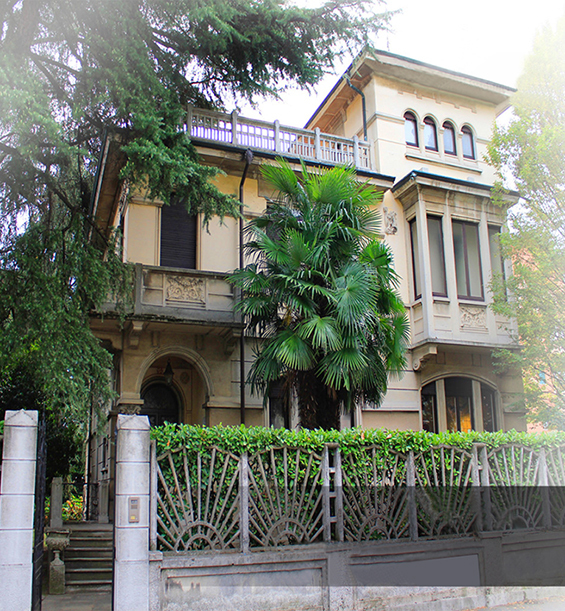 Historic and stately villa of the early 1900s, located in a beautiful residential area. The house is enriched in the facades by bas-reliefs depicting handmade putti and garlands, and columns and vases in concrete coeval with the house, which embellish the main and secondary entrance, which is accessed through a driveway composed of stone slabs and bristled. Inside, the large living room is enriched by large decorated windows depicting heads of lions in the area originally living room and fruit in the area used at the time for lunch. The eat-in kitchen is characterised by hand-painted tiles in the Vietri area and a large marble mantle from 1710.